As winter is in full swing, many of us are already noticing the weather wreaking havoc on our skin and hair. 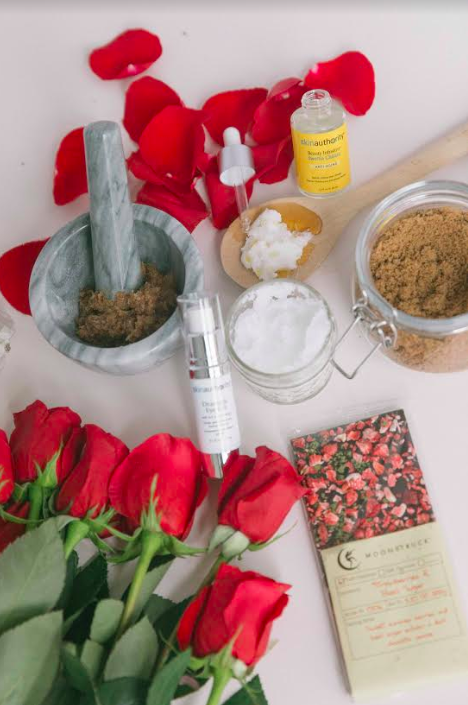 And while moisture-boosting serums, gentle cleansers, and superfood infused oils are all important additions to your beauty arsenal, don’t forget to round out your top beauty essentials with a lip scrub. After all, a smooth, kissable mouth is all the more important during the season of romance. 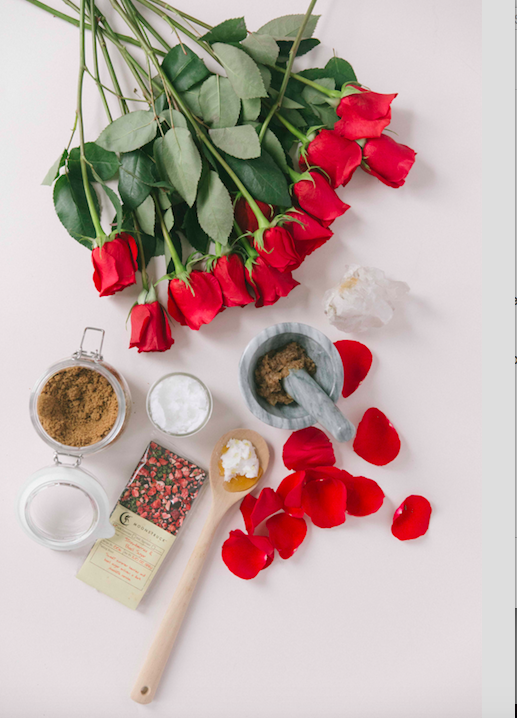 This month, we’re dishing out on how to make a lip scrub in time for the month of love! The divine combination of brown sugar and coconut oil take center stage here, making this lip scrub a decadent treat for the senses. Scrub your lips to smooth perfection with brown sugar, as our Beauty Infusion™ for Anti-Aging preps your pout for the softest of smooches. Reapply Beauty Infusion™ for Anti-Aging on and around the lips daily to keep lips plump and hydrated. If you’ve never heard of the Hamalayan native herb, Swertia Chirata, it has been used as a natural Ayurvedic herb, primarily to repair skin after injury. It has been clinically shown to visibly blur fine lines, lip contour wrinkles, and smooth skin texture after 7 days. Not to mention, Beauty Infusion™ for Anti-Aging has been clinically shown to visibly decrease the appearance of lipstick migration and plump skin in just 28 days ( *Studies show the reduction of lipstick creep due to the plumping of lip contour wrinkles). Simply apply on and around the lips daily to keep lips plump and hydrated! 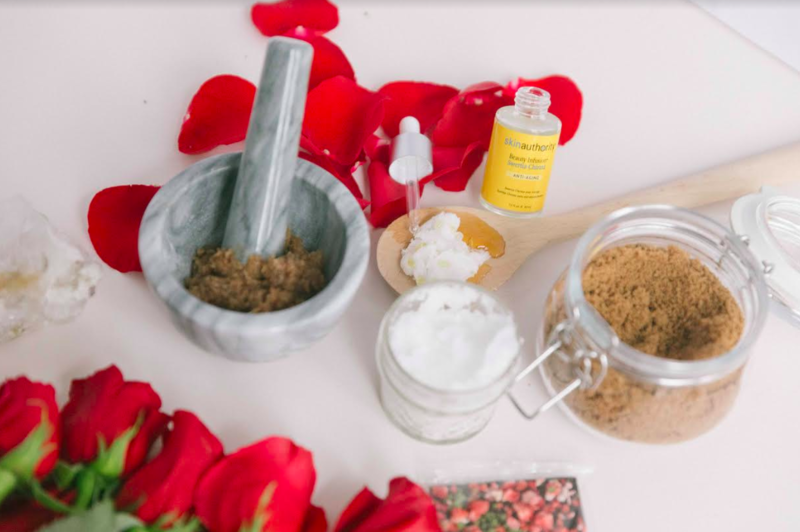 Whether you use the Beauty Infusion™ Anti-Aging serum in our scrub, or you decide to use it alone, it’s the perfect addition to your skincare routine! Measure about a rounded teaspoon of brown sugar into a small bowl. Add a rounded teaspoon of coconut oil. Measure out a scant teaspoon of honey and add that to the bowl of oil and sugar. Mix together with a spatula. Using a spatula or mortar and pestle, fill tins with scrub. Simply take a pea-sized amount and scrub your lips soft, then remove (or lick!) off excess. No time to recreate? Our Exfoliating Cleanser or Bamboo Ginseng Scrub will do just the trick in a pinch! This entry was posted in Uncategorized by Maurice Voce. Bookmark the permalink.